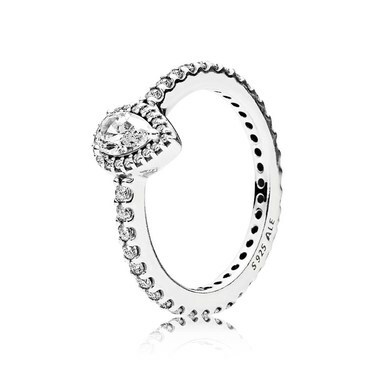 This intricate teardrop ring from PANDORA will fast become your new favourite style. A classic design that can be worn day or night for a hint of sparkle! Try styling with eternity bands for a luxurious layered look.